Are nutrients in your pantry expiring? Explainer: Are nutrients in pantry expiring? New science shows that even pantry staples can lose valuable nutrients during months in your pantry. Find out what's at risk and learn some tips for prolonging your food's nutritional shelf life. Antioxidants decrease an average of 32% after 6 months on the shelf, according to a 2009 study in the Journal of Food Science. These antioxidants, known as catechins, may decrease your risk of several types of cancer, but they are sensitive to both oxygen and light. Sadly, tea, unlike wine, does not improve with age. Make it last: "Buy tea in airtight packages such as tins, rather than cellophane wraps, which air can penetrate," advises Rona Tison of ITO EN, the world's largest supplier of green tea. Store your tea bags in sealed, opaque canisters in a cool spot. "Green tea is more sensitive to heat than black tea, so place your sealed container in the refrigerator to keep the leaves fresh and healthy for as long as possible," she says. Is your kitchen making you sick? Canned tomato juice loses 50% of its lycopene after 3 months in the refrigerator — even when it's unopened, says a study in Food Chemistry. Similarly, scientists in Spain have found that the lycopene in ketchup deteriorates over time. That's a shame, because it's a potent antioxidant that may fight many forms of cancer and heart disease and even strengthen bones. 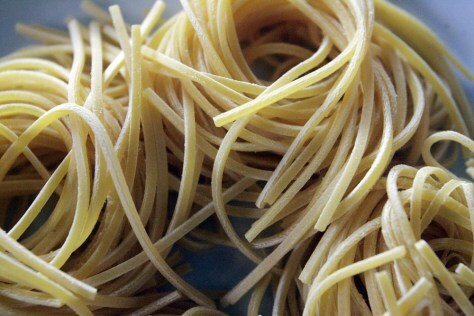 Make it last: Skip the premade tomato sauce and make your own using boxed whole or diced tomatoes rather than pureed. 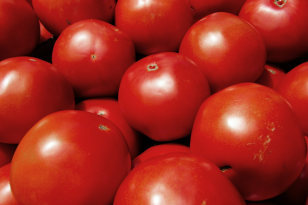 Whole and diced tomatoes contain more solids, which provide added protection for the lycopene, says B. H. Chen, PhD, a food scientist at Fu Jen University in Taiwan who analyzes the stability of carotenoids. If ketchup sits in your fridge for months, buy smaller bottles, says Christine Gerbstadt, MD, RD. Fresh bottles tend to start off with higher levels of lycopene. Vitamin C declined 40%, on average, after 8 months in proper storage (in a place that's cool, dark and dry), according to researchers in Holland. You probably wouldn't keep potatoes that long. But farmers often store them up to 5 months before shipping them to market, says Peter Imle, a potato farmer and plant geneticist in northern Minnesota. Make it last: Look for smaller potatoes (often labeled new), which have a slightly higher vitamin C content to begin with, and buy only what you can eat in a few weeks. Imle also recommends keeping potatoes in paper sacks, rather than plastic grocery bags. "Paper keeps out excess light and oxygen. 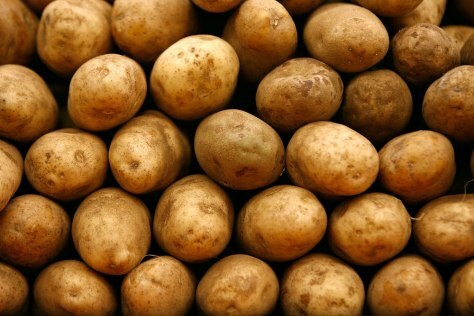 But it still allows the potatoes to breathe, without trapping in moisture like plastic can," he explains. The potency of antioxidants declined 40% after 6 months, according to a 2009 Italian study of bottled olive oil in the Journal of Food Science. Yet in many households, bottles can sit on the shelf for much longer than that. 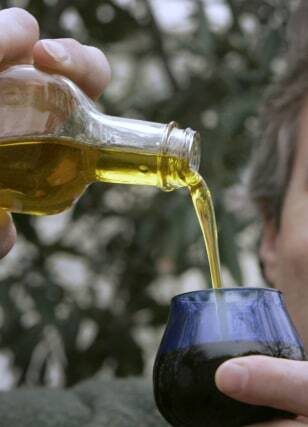 Make it last: Don't store oil near the stove or leave it uncapped for long, as it's sensitive to oxygen, heat and light, says Doug Balentine, PhD, director of nutrition sciences at Bertolli, an olive oil producer. If you don't cook with it often, buy smaller bottles. The anthocyanins in blueberry jam decline by 23%, on average, after 2 months of storage at room temperature, say researchers at the University of Arkansas. Similarly, strawberry jam loses up to 12% of its health-boosting flavonoids after 6 months in a dark cupboard. Experts believe the flavonoids (including anthocyanins) contribute to the antiinflammatory, memory-preserving, antioxidant effects of berries. Make it last: Store jams in the fridge before opening to retain about 15% more of the anthocyanins and their antiaging benefits. Or buy sugar-free blueberry jams. Researchers found that they maintain higher levels of anthocyanins over time. The capsaicin in chili powder decreased continuously during 9 months of storage in one Chinese study. Capsaicin may contribute to weight loss and also help fight certain cancers. "Generally, spices that should be bright in color but have grown dull are also devoid of flavor and nutritional value," says Jay Bunting, owner of Wayzata Bay Spice Co.
Make it last: Buy in glass jars whenever possible, says Bunting. (Air penetrates plastic.) Better yet, grind your own. Whole spices such as peppercorns retain health benefits and flavor much longer because the inside of each peppercorn is protected from light and air. Store herbs and spices out of direct light and away from the hot stove. Is your laundry making you sick? The riboflavin in enriched macaroni plummeted 50% after being exposed to light for only a day, according to a Journal of Food Science study. Even dim light can degrade riboflavin by 80% after 3 months, according to another study. The folic acid in enriched flour is also sensitive to both light and oxygen. Make it last: Store grains in opaque ceramic containers, far from the stove's damaging heat. A dry cupboard is better than the fridge, except in the case of brown rice, which contains a small amount of oil and therefore spoils faster at room temperature. Copyright© 2012 Rodale Inc.All rights reserved. No reproduction, transmission or display is permitted without the written permissions of Rodale Inc.